The 6th Annual Memory Ball presented by Feature Foods is just around the corner, and there is SO MUCH to be excited about! 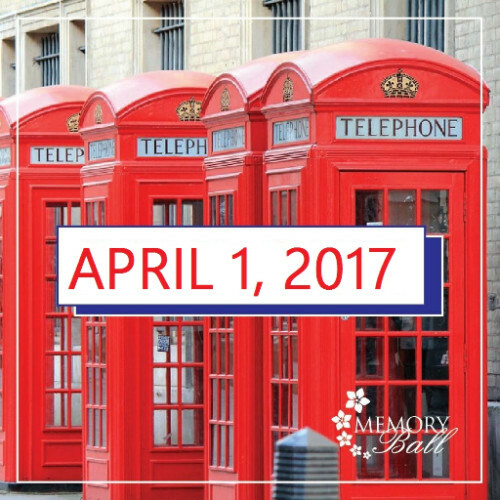 Here are some details you should know about Memory Ball 2017 on April 1, 2017! Where: Palais Royal, 1601 Lake Shore Blvd W, Toronto, ON M6K 3C1 (click the link to get directions via car or transit. There is ample parking at across the street from the venue. Please don’t drink and drive. The venue is TTC accessible, take the Queen St. Streetcar to Roncesvalles Ave. and head on over the bridge. Palais Royale is directly on the other side of the Gardner, on Lakeshore Blvd. When: Doors will open at 9pm, and close at 10pm sharp. We recommend getting to Palais Royale sooner, rather than later, to enjoy everything we have planned for the evening. While we will have passed appetizers and food stations, we recommend eating dinner beforehand. Here is a list of restaurants in the Roncesvalles area! Great to grab a meal and drink before heading over to the venue. Tickets: We will be able to scan the barcode from your smartphone, or if you prefer to print the confirmation of your ticket, we are able to scan paper copies as well. Silent Auction & Raffle: Two of our most popular events of the evening, you might have seen some of the items up for grabs on Twitter or on our blog. Here are our Top 10 Silent Auction Items, be sure to scope out what you want ahead of time so you are ready to outbid your friends! Even if you have to miss the event, you can bid at memoryballauction.com. Social Media: We’ll be documenting the evening using #MemoryBall and we want you to join us too! Be sure to follow us on Twitter and Instagram to stay up-to-date with everything happening at Memory Ball this year! Gift Bags: Don’t leave without a gift bag – there are some great Pure Leaf Tea Collection, McGregor Socks Sharp Magazine, LARABAR, Persil, and more! Those of you who are night owls and Memory Ball veterans will know that we’ll also have a tasty snack for your cab ride home on your way out! Don’t have a dress? Rent Frock Repeat has a variety of dresses ready for you! Use code MEMORY17 for a discount and a portion of your purchase will go back to the cause! We will have a live artist, GIF Photo Booth, and don’t forget about the Wiser’s Backroom! (HINT, we think we heard something about a passcode, and the year 1857….) That’s ON TOP of the opportunity to ‘fill in the gap’ by contributing to our Mind the Gap sign, lots of dancing, live music and more. We can’t wait to see you at Memory Ball 2017!